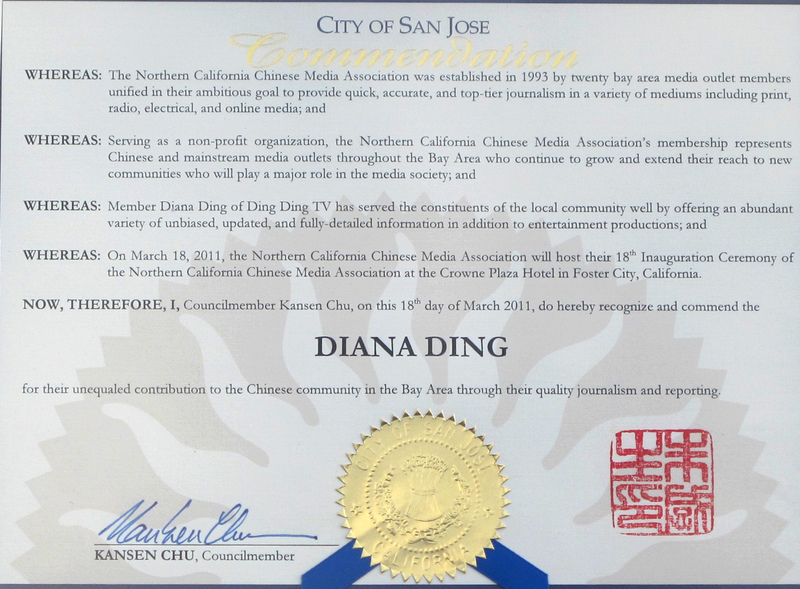 Ding Ding TV is the first Chinese American Tech media and Internet TV station to focus on content and connection for global entrepreneurs, devoted to bringing out and enhancing the understanding by viewers of our interdependent global communities. 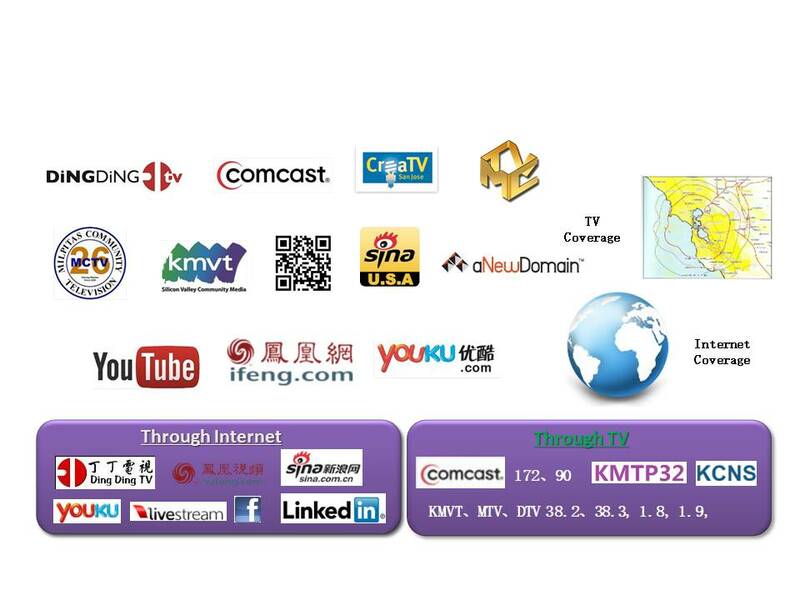 Ding Ding TV has being positioned as a hub, bridge and platform for US-China business relations. 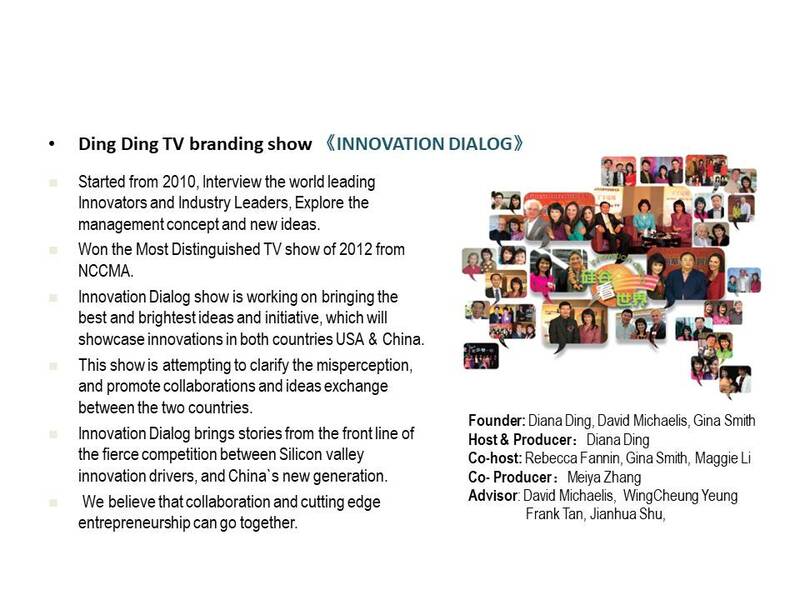 Ding Ding TV has organized Silicon Valley Entrepreneurs Festival, Silicon Valley Culture Festival ( Know as Food & Art Festival), Ding Ding TV has created more than 300,000 video content pages, branding these shows: Innovation Dialog, Frontier Technology Spotlight and Tech News. 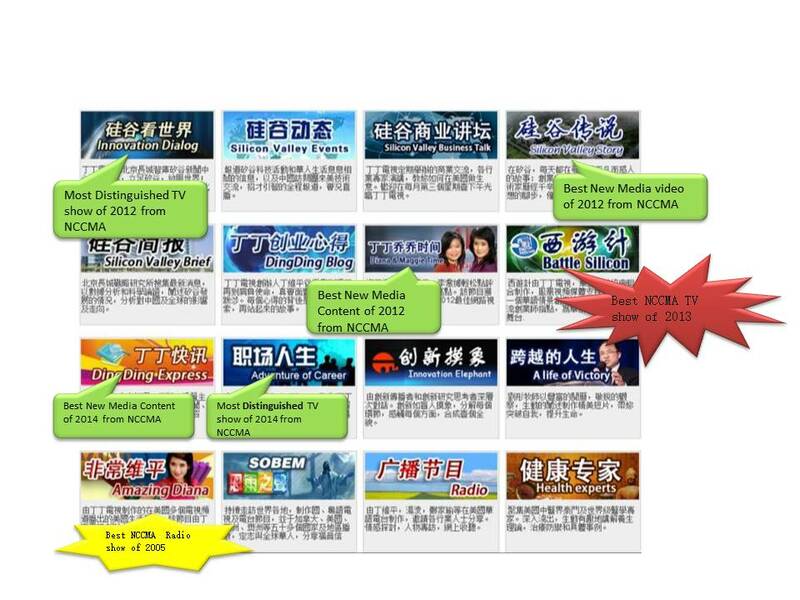 These regular programs are delivered through multiple channels in US and China, covering an audience estimated at 200 million. 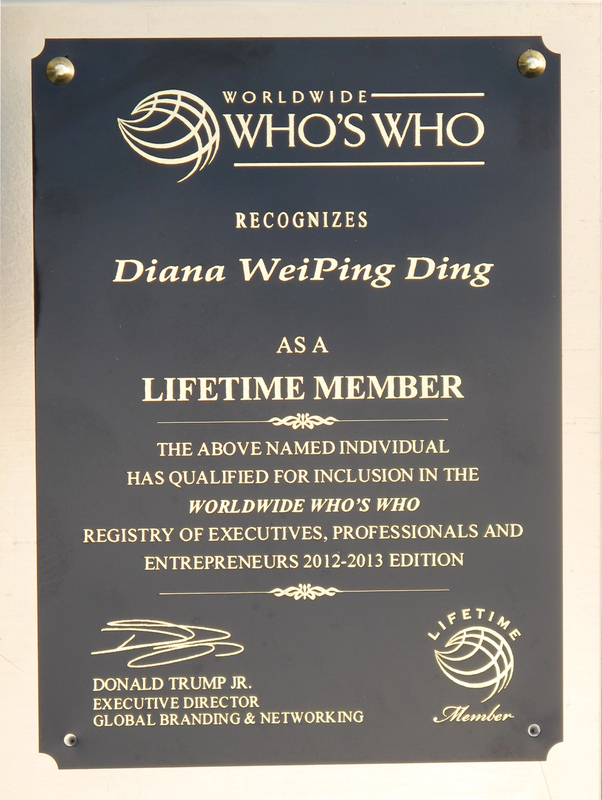 Ding Ding TV is a trustworthy brand for high tech professionals and innovators in Silicon Valley and all over the world, adhering to the highest ethical and professional practices. Bridging technology to humanity is both the call of our time and the ultimate challenge. Ideas need to be nurtured and tested in the marketplace. Investors and entrepreneurs seek each other to turn innovation into products and services. Industry leaders, incubators, startup projects and the market must come together to grow cutting-edge technology from dreams to reality. Through technology, our world turns into a global village. But differences in cultures and systems can block direct and speedy exchanges of inspiration, information, and collaboration between East and West. 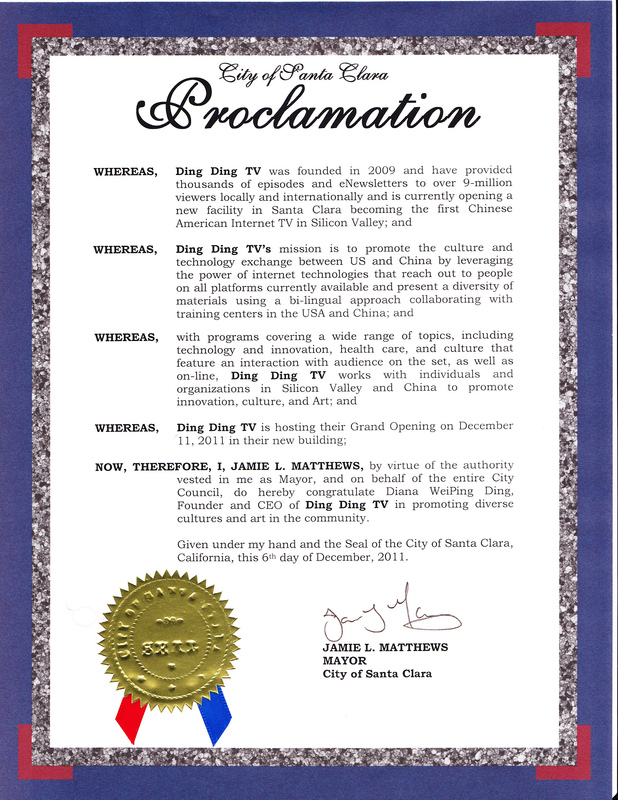 In Silicon Valley, the world’s hub for technology and research, Ding Ding TV emerged as a growing private platform and a cutting-edge digital network media. It plays a vital role in connecting all players across the Pacific: global capital resources, leading thinkers, technology and industry elites, innovative startups and the media. 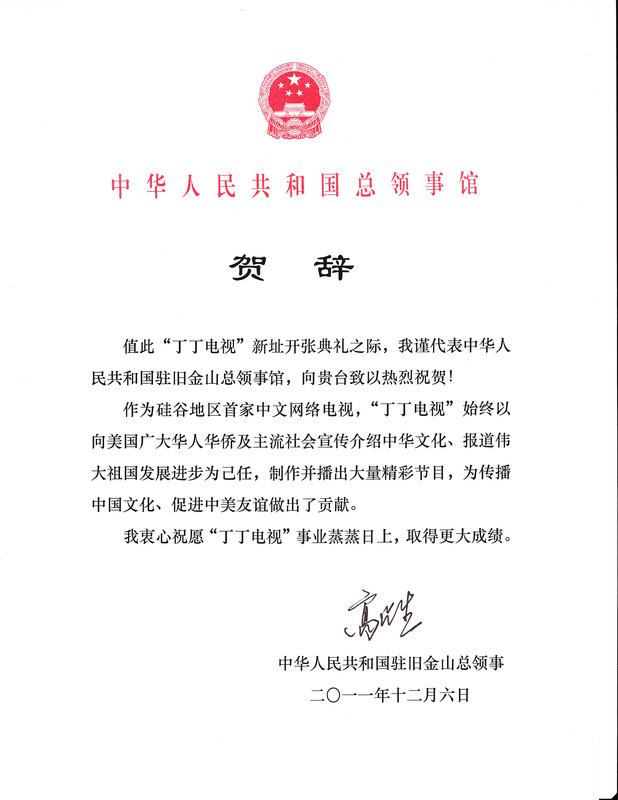 In collaboration with other partners, Ding Ding TV organizes “Silicon Valley Entrepreneurs Festival”. Each year it attracts thousands of the most prominent technology players from the US, China, and other parts of the world. The Festival is a vibrant hub and forum where the latest information in high-tech is exchanged and explored, dreams sparkled, and connections forged. Subjects (among others) include AI, IoT, block chain, smart City, precision medicine industry, life science, IT, clean energy, cross-border IPO, M&A, investment trends, high-tech opportunities and its ecosystem. “Silicon Valley Entrepreneurs Festival” is a gathering of thinkers who inspire and stimulate innovation from clashes of ideas. Equally, it is a place where enterprising creativity is invigorated and in-depth dialogues are conducted. Each year events include startup pitch competitions and forums for encouraging women, youth, and emerging high-tech leadership. Likewise, awards are bestowed to outstanding companies at the forefront of high-tech ventures. At May 2017 “Silicon Valley Entrepreneurs Festival” more than 1,000 attende es, 200 investors. 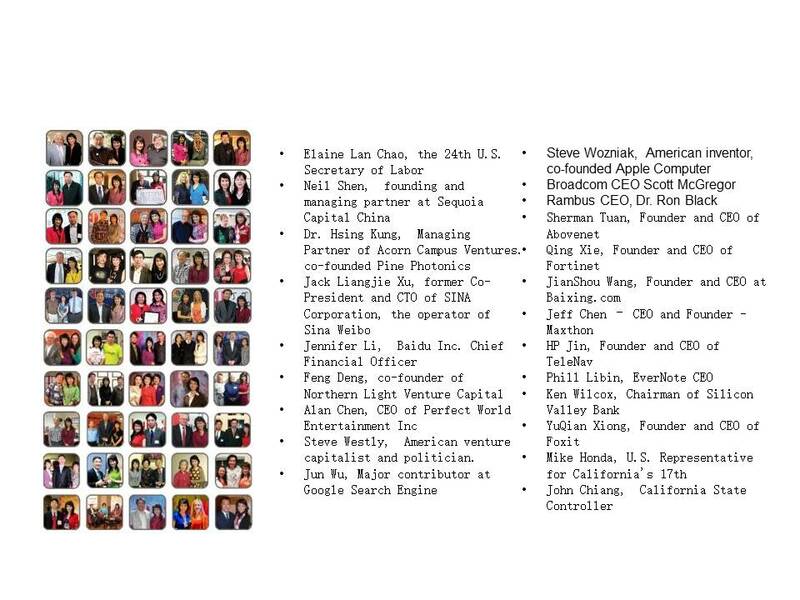 The 150 speakers included representatives from prominent companies like Alibaba, Oracle, Draper Nexus Ventures, and professors from Stanford and UC Berkeley. In May 2018 this number has doubled. Furthermore, among the participants, there were hundreds of entrepreneurs and high-tech professionals. 3. Spreading the word about Silicon Valley innovation through various global media channels. 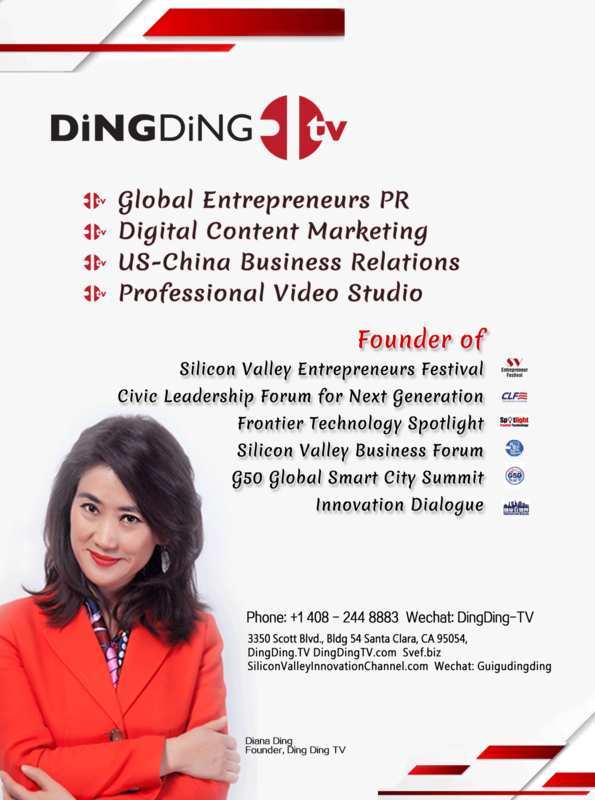 On June 9, 2017, Ding Ding TV live-streamed a talk as a part of “Silicon Valley Innovation Forum” from its studio in Santa Clara. More than 5,000 industry leaders and CEOs in China tuned in to listen to UC Berkeley professor Chunming Hu, a microelectronics visionary whose seminal work on semiconductor has had an enormous impact on the continued scaling of electronic devices, and Dr. Hsing Kung, Chairman at InnoLight Technology Corp. It sparked a lively discussion across the Pacific on the global topics of pollution and the future of the semiconductor industry. 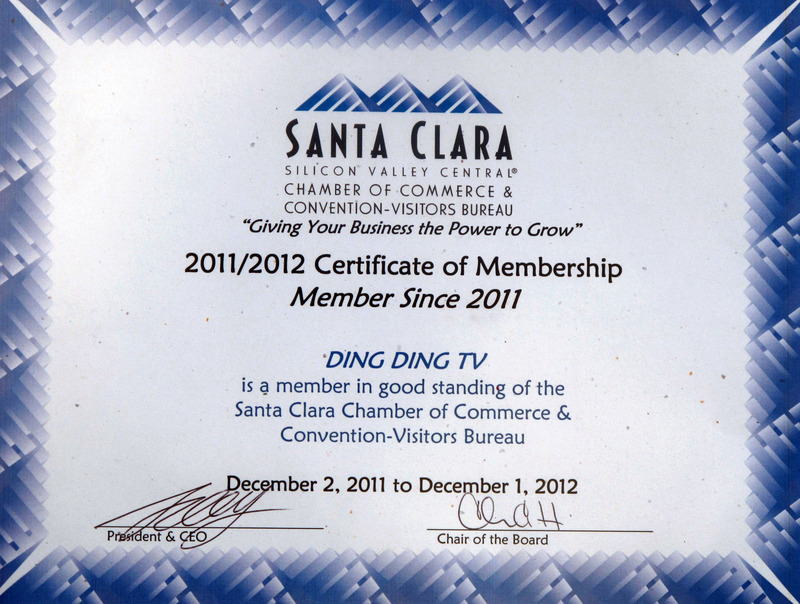 Over the past 9 years, Ding Ding TV produced nearly 30,000 videos to show every aspect of the eco-environment of Silicon Valley’s innovation and entrepreneurship. 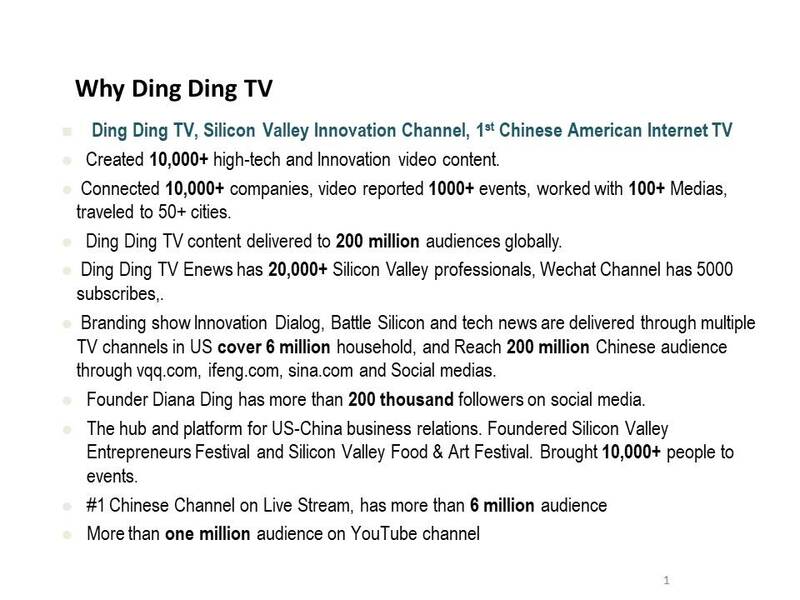 Ding Ding TV connected thousands of enterprises and interviewed more than 3,000 East-West industry leaders, investors, and entrepreneurs. 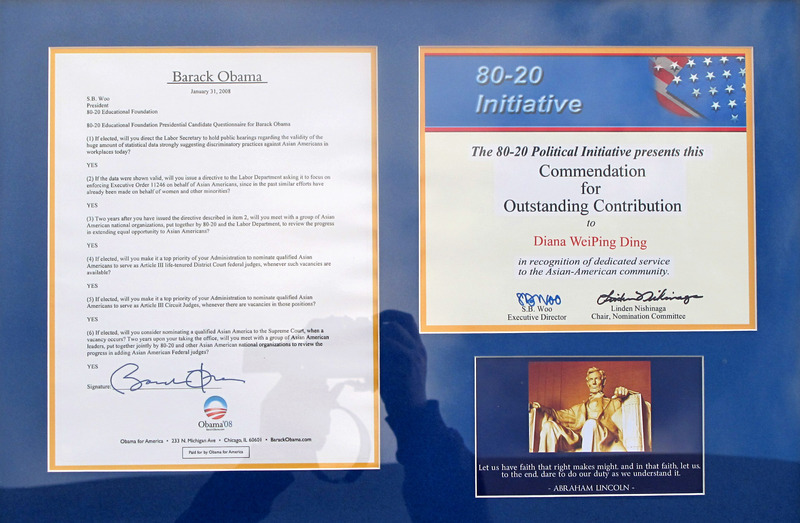 Diana is devoted to her family and her faith community. Her warm and graceful personality, effective and efficient leadership, business acumen, strategic visions, and collaborative teamwork inspire those around her in Silicon Valley and beyond. 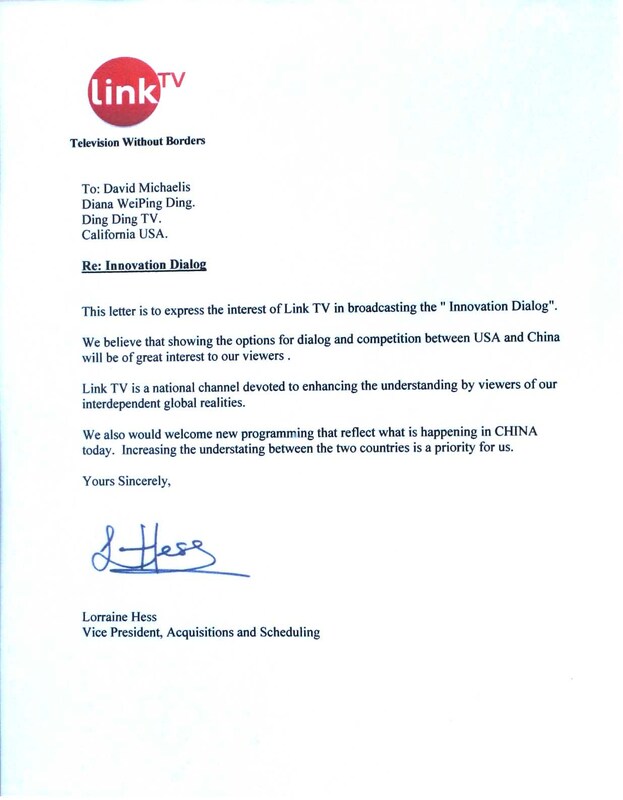 To contact Ding Ding TV, please email Diana for matters concerning strategic collaboration, at diana@dingdingtv.com. For other matters contact: sandy@dingding.tv. Or by phone: (408) 244-8883. 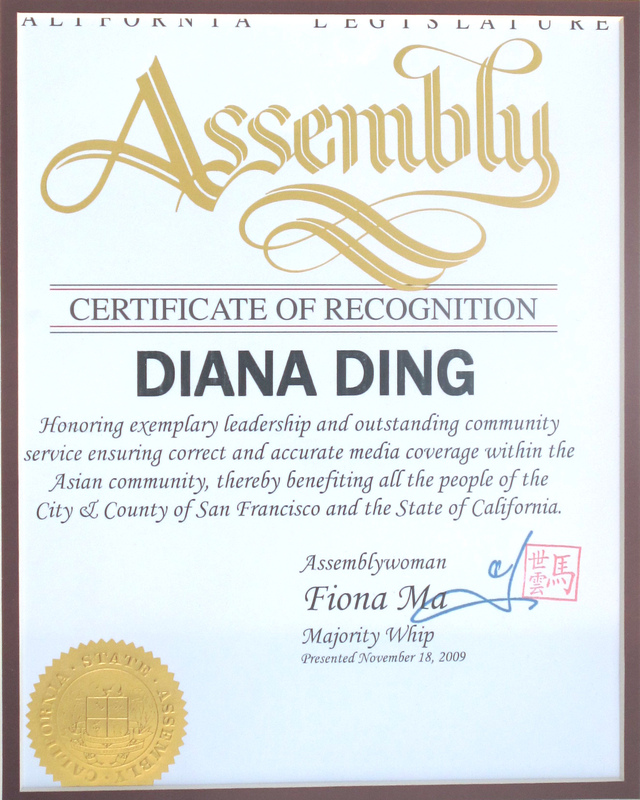 The recipient of the “Asian American Hero Award” bestowed by Santa Clara County, CA.• She served as the Board of Director for Santa Clara Chamber of Commerce, 2014-2017.• Ding Ding TV was named the Business of the Year, 2015.• Diana is an active member of the Rotary Club Cupertino.• Diana is the Board of Director for Heart of Hope, San Jose.• For the past 9 years, Diana was the moderator of the annual Spring Festival/Chinese New Year Silicon Valley Gala.• The Silicon Valley Branch President for “Geju Business School”. With 20.000 members, it is one of the biggest online platforms for business leaders in China.• Great Wall Strategy Consulting Firm is one of the most influential China business consulting firms and works with over 10,000 Chinese enterprises and clients like Lenovo. 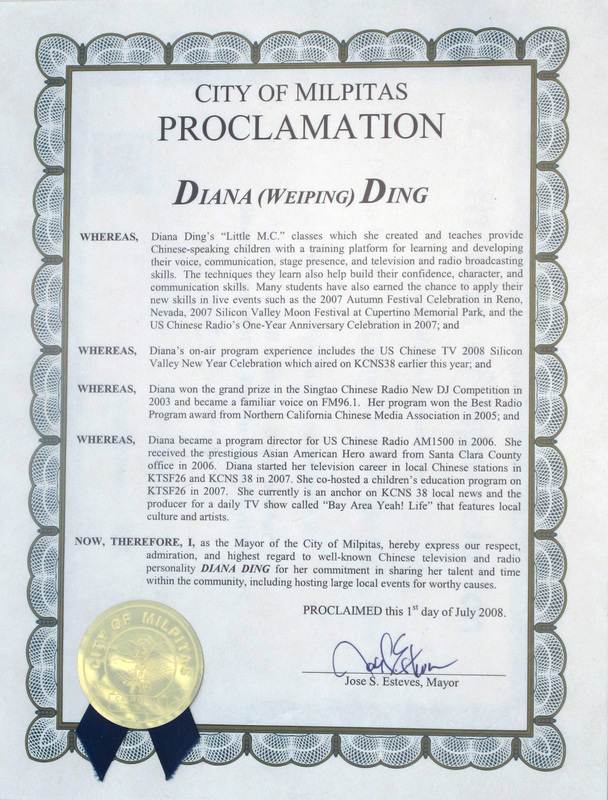 Its Silicon Valley Office is set at Ding Ding TV, with Diana Ding as its director.• Diana served as the chair for August 3, 2017’s Silicon Valley for ECI Award (E-commerce Innovation Award).• Diana is the Vice Chair of the Northern America Silicon Valley Branch for “China-US Business Summit”. It has 8,000 members and is now in its 9th year.